Motivated Sellers! $5, 000 Seller Subsidy! Pride of ownership and ready for the pickiest of buyers! All the major items have been replaced ~ Roof (18~), 40 gal. Hot water Heater (15~), Windows (14~), Gutters (14~) and HVAC (11~). No builder grade hardware, lighting, flooring or cabinets here! 1-year HSA Home Warranty provided! 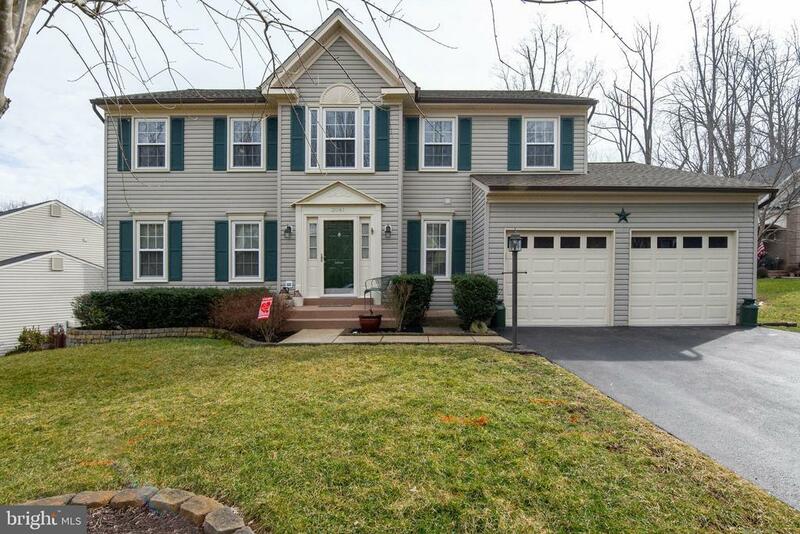 Come visit this Beautiful Colonial in the sought-after Newport Community!! Wood flooring flows gracefully from Center Hallway to Powder Room, Living Room, Dining Room and into Kitchen. Elegant French doors separate living Room and Dining Room. Kitchen boasts black appliances and upgraded countertops including a wood top island. Lighting throughout has been upgraded. The main floor laundry room has plenty of cabinet space. Warm by the fire in the family room on those cold winter nights. Master Bath boasts new vanity, sink, shower flooring and cabinets. All the Bedrooms have ceiling fans and the Hallway Bathroom has new sink, flooring and lighting. All carpeting has been professionally cleaned!! The Recreation Room is amazing! LED Lights brighten up the space. Enjoy playing games or watching movies in any season with the separate heating and cooling system for the Basement. Full Bathroom and upgraded wood-like waterproof vinyl flooring throughout. French doors lead to the backyard. When spring arrives spend countless hours outside in the SCREENED IN DECK! The fenced backyard is a great place to play with the kids or just relax. The shed provides space for all the lawn tools and toys. Carpets have been professionally cleaned and driveway has been resurfaced. Right next to beautiful Leesylvania St Park, VRE, Shopping!! Directions: I 95to exit 156 Ripon Landing, Right on Rte 1, Left on Neabsco. Right on Hayes Lane. Right on Hanson, home on left.